Interesting Facts About India | Do You Know? 1. India was the richest country on earth till the British invasion in the 17th century. 2. India has never invaded any country in her last 10,000 year history. 3. India invented the Number System. Zero was invented by Aryabhatta. 4. The world’s first university was established in Takshila in 700BC. More than 10,000 students from all over the world studied over 60 subjects. The University of Nalanda built in the 4th century BC was one of the greatest achievements of ancient India in the field of education. 6. Ayurveda is the earliest school of medicine known to man. Charaka, the father of medicine consolidated Ayurveda 2500 years ago. Today Ayurveda is fast regaining its rightful place in society. 7. The art of Navigation was born in the river Sindh 6000 years ago. The very word ‘Navigation’ is derived from the Sanskrit word NAVGATIH. 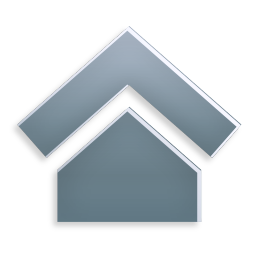 The word navy is also derived from Sanskrit ‘Nou’. 8. BHASKARACHARYA calculated the time taken by the earth to orbit the sun in 5th century, hundred of years before the astronomers to be 365.258756484 days. 9. The value of "pi" was first calculated by Budhayana and he explained the concept of what is known as the Pythagorean Theorem. He discovered this in the 6th century long before the European mathematicians. 10. Algebra, Trigonometry and Calculus came from India. Quadratic equations were by Sridharacharya in the 11th century. 11. The largest numbers the Greeks and the Romans used were 106 whereas Indians used numbers as big as 1053 with specific names as early as 5000 BC during the Vedic period. Even today, the largest used number is Tera 1012. 12. According to the Gemological Institute of America, up until 1896, India was the only source of diamonds to the world. 13. USA based IEEE has proved what has been a century-old suspicion in the world scientific community that the pioneer of Wireless communication was Prof. Jagdeesh Bose and not Marconi. 14. The earliest reservoir and dam for irrigation was built in Saurashtra, Gujarat. According to Saka King Rudradaman I of 150BC a beautiful lake called ‘Sudarshana’ was constructed on the hills of Raivataka during Chandragupta Maurya’s time. 15. Chess was invented in India. It was known as "Shatranja" in India. 16. Sushruta is the father of surgery. 2600 years ago he and health scientists of his time conducted complicated surgeries like cesareans, cataract, artificial limbs, fractures, urinary stones and even plastic surgery and brain surgery. 17. Usage of anesthesia was well known in ancient India. Over 125 surgical implements were used. A deep knowledge of anatomy, physiology, etiology, embryology, digestion, metabolism, genetics and immunity is also found in many texts. 18. When many cultures were nomadic forest dwellers over 5000 years ago, Indians established the Harappan culture in the Sidhu Valley (Indus Valley Civilization). 20. Rabindranath Tagore, an Indian has written National Anthem of two Countries : India and Bangladesh. 21. 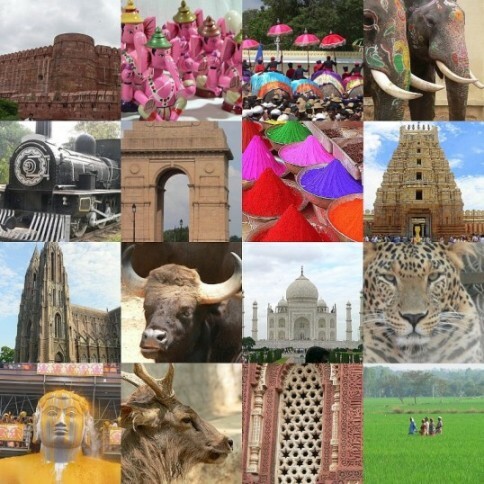 India is the 7th largest country in the world, the largest democracy and is home to 1.21 billion people. 22. India is home to the world's largest pilgrimage destination called the Vishnu Temple. The temple is located in the city of Tirupati. About an average of 30,000 people visit this temple donating about $6 million US dollars, everyday. 23. India originated Yoga about 5,000 years ago. Martial Arts were also first created in India. 24. India has the most number of mosques. It has 300,000 mosques which is much more than the Muslim world. 25. The biggest and the largest employer in the world is Indian Railways which employs over a million people. 26. 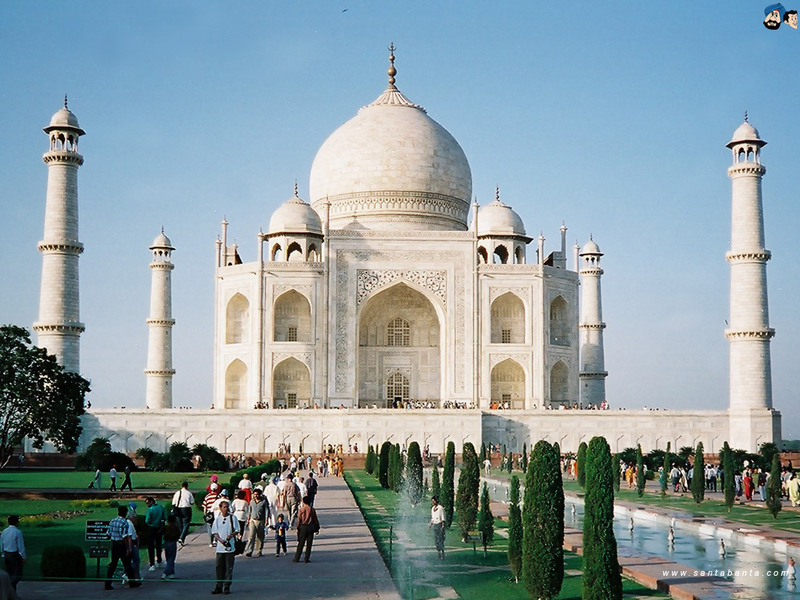 Taj Mahal which is among the seven wonders of the world is in India. Taj Mahal was built over a long period of 11 years. 27. India has the most number of post offices in the world. 28. The great scriptures of India was written when most off the developed nations in the world did not even know how to read and write. 29. Mahabharata and Ramayana : Two Greatest Epics of world are from India. 30. Veterinary science was developed in India. SHALIHOTRA is considered the founder of Veterinary. 31. Today, India exports software to 90 countries of World. 32. The four religions born in India - Hinduism, Buddhism, Jainism, and Sikhism, are followed by 25% of the world's population. 33. India provides safety for more than 300,000 refugees originally from Sri Lanka, Tibet, Bhutan, Afghanistan and Bangladesh, who escaped to flee religious and political persecution. 34. National Anthem Of India "Jana Gana Mana" is declared Best National Anthem In World By UNESCO. 35. 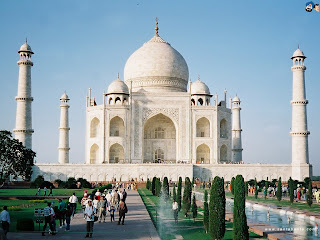 Taj Mahal In Agra,INDIA is among 7 Wonders Of World. Red Fort, Qutub Minar, India Gate, Jama Masjid, Char Minar, Ajanta & Ellora Caves, Golden Temple and many more attractions add to beauty of India. 36. Sachin Tendulkar, Vishwanathan Anand, Major Dhyanchand, Jeev Milkha Singh, P.T. Usha, Sania Mirza, Saina Nehwal, Mahesh Bhupati and Leander Paes are among some Greatest Sportspersons In World. India have won 8 Gold Medals In olympics. Indian Cricket Team has won Two ODI World Cups in 1973 and 2011 and T-20 World Cup In 2007. 37. India is 4th largest army, 2nd fastest grwoing economy , 2nd in production of rice and tea ,1st in production of mica , 1st in production in milk in the world. 38. The Himalayas are found in the north of India. They extend 1,500 miles and are slowly growing taller, by almost an inch (2.5 cm) a year. They contains most of World's Top Peaks and add to beauty of India. 40. The name 'India' is derived from the River Indus, the valleys around which were the home of the early settlers. The Aryan worshippers referred to the river Indus as the Sindhu. 41. The Kumbh Mela is a huge Hindu religious festival that takes place in India every 12 years. In 2001, 60 million people attended, breaking the record for the world’s biggest gathering. 42. 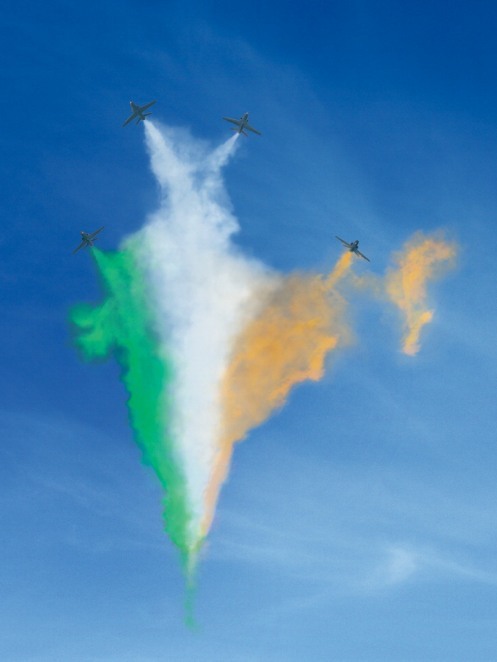 The Indian flag has three horizontal bands of color: saffron for courage and sacrifice, white for truth and peace, and green for faith, fertility, and chivalry. A Buddhist DHARMA CHAKRA replaced the spinning wheel. 44. India has the world’s largest movie industry, based in the city of Mumbai .The B in “Bollywood” comes from Bombay, the former name for Mumbai. 45. Mumbai (Bombay) is India’s largest city, with a population of 15 million. 46. India has the world’s third largest road network at 1.9 million miles. It also has the world’s second largest rail network. 47. Rivers have played a vital role in India’s popular culture and folklore—they have been worshipped as goddesses because they bring water to an otherwise dry land. 48. Raziya Sultana (1205-1240) was the first woman leader of India. 49. Indians hold prominent places internationally. For example, the co-founder of Sun Microsystems (Vinod Khosla), the creator of the Pentium chip (Vinod Dahm), the founder/creator of Hotmail (Sabeer Bhatia), and the GM of Hewlett-Packard (Rajiv Gupta) are all Indian. National Song --> "Vande Mataram"
"PROUD TO BE AN INDIAN. JAI HIND"